The 4-way stretch fabric in the Nils Betty Softshell Ski Pant ensures a great, comfortable fit that will allow you to move easily. The warm, thick, 3-layer construction fabric and lining keep you warm all day long. These mid-rise pants have a high contoured back, sealed seams, and snow gaiters so that you are protected from the cold whether you're sitting or standing. They are slim-fitting without being restrictive, and the zippered ankle gussets make it easy to take these pants easy to take off over boots. With a zippered back pocket and belt loops, they adapt to your individual needs out on the slopes. "I am a female 5ft 9 with a 30 waist. I wear size 10 typically in normal street pants. I am looking for black stretch ski pants. I am looking at the Nils Barbara ski pants. How do they run? What size would you recommend? " "Based on the information you provided, you are in between the 10 and 12. You may want to size up to the 12 for the Nils Barbara Insulated Ski Pant (Women's) . The Barbara has a relaxed or regular fit." "Looking for petite length pants think they are called "01""
"These pants do have a short inseam option. You would select the inseam just below where you would select the color." "what is the difference in length between the short and regular inseam on a size 4? I'm 5.2" tall"
"Thank you for your inquiry. For measurements, please see the Sizing Chart . We hope this information helps!" "I’m 5’9 and want to know if I should get long or regular inseam for the Betty soft shell ski pant? " "We would recommend measuring your inseam and comparing it to the size chart found here. The long inseam will measure 2" longer than the regular inseam for the size that you will be measuring for. Hope this information helps. " "I'm 5'9" and I needed a 4 long. They fit really well. Love them." "It appears the pant leg fits over the Ski boot. Is there an elastic underneath to keep the snow out of the boot? " "Thank you for your inquiry! The feature you are referring to is called a Boot Gaiter, and this product has them. For your convenience, hover your mouse over the "?" next to the feature, and a description of its function will pop up.We hope this information helps!" "Is there an adjustable waist feature?" 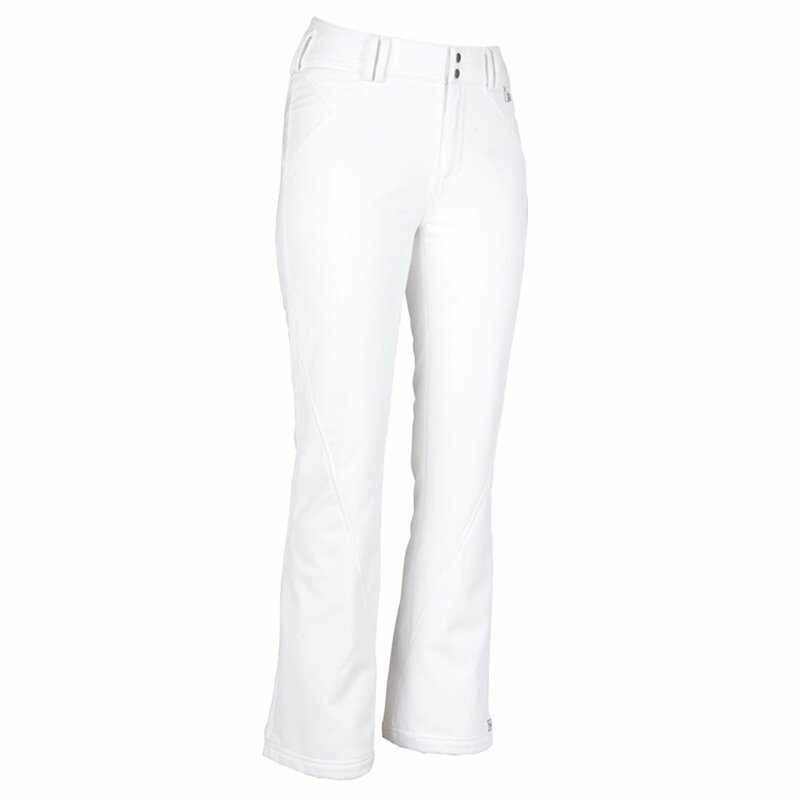 "The Nils Betty Ski Pant does NOT have an adjustable waistband. The pant is made with a 4-way stretch fabric and has belt loops. Hope this information helps!" "Hi, I am 5'5" and usually wear a size 26 or 27 in jeans. what size do I need in Nils Betty Softshell ski pant? Thanks,"
"According to the NILS SIZE CHART you will need a size 4 or 6. We recommend taking your measurements with the baselayers you plan on wearing and refer to the size chart. Hope this information helps!" "hello Is there a sizing chart for Nils ski wear in women's pants? I'd like to find out how long the inseam is "
"Thank you for your inquiry. The inseam for the NILS Betty Ski Pants is 30 inches. We hope this information helps!"